If you are interested in working for us Click here to download the application. 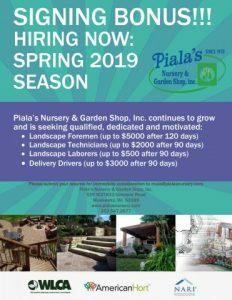 Please email the completed application and your resume to maia@pialasnursery.com. Thank you! This company would not be where it is today without the dedication and drive of our employees. We are always looking for hardworking people to help sustain the continued growth of our company and nursery stock.